Happy Happy Friday! John has been working a lot of overtime this week (and it's only just the beginning) so I am very happy that it is a three day weekend! 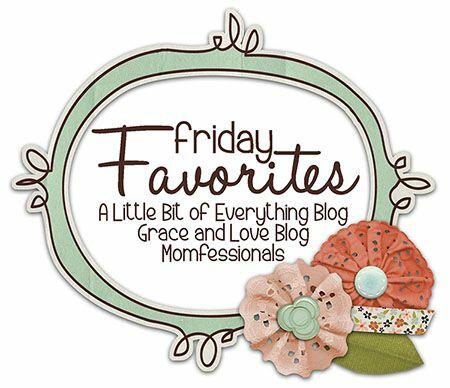 Today I am linking up with Momfessionals, A Little Bit of Everything, and Grace and Love to share my favorites of the week! When you are pregnant, the doctors say it is okay to have one cup of caffeinated coffee per day, and I have been loving my Pumpkin Spice K-Cups every morning! They make waking up at 5:15am a bit easier! This clearly goes with Friday Favorite #1 because without it we would not be able to make our coffee. And I have a confession, ours broke this week. I was in a panic. We have had it for over 3 years now, and I went to brew a cup of coffee and the entire water tank brewed all over my kitchen counter. I took it back to Bed Bath and Beyond, explained what happened (including how old it was), and they let me exchange it for a brand new one! Seriously, I could have hugged the nice woman who helped me! We've had to exchange things in the past at that store, and they just have the BEST customer service! I am so ready for Fall (in case you couldn't tell from Friday Favorite #1). 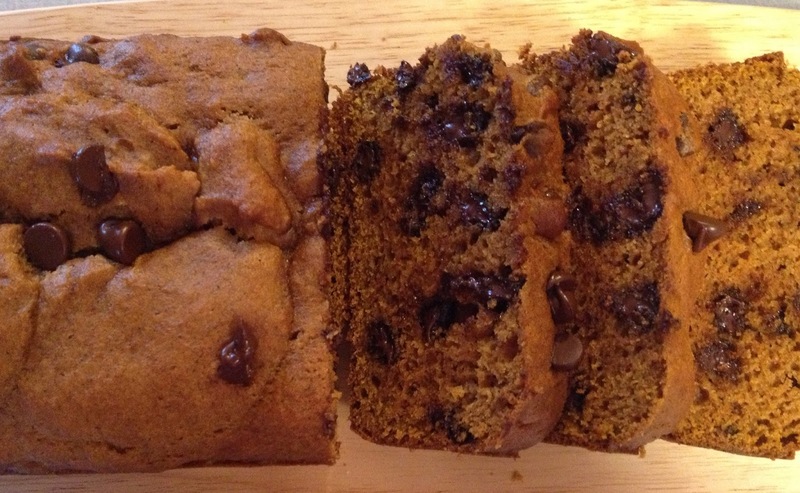 So this week, I made the very first Fall 2014 batch of my delicious Whole Wheat Pumpkin Bread! Not only is this bread amazing, but the recipe makes two loaves which is great because they disappear pretty quickly in our house! Plus, your house will smell amazing while it bakes in the oven (an awesome bonus)! I don't know about you, but I get serious pregnancy insomnia! It is super hard for me to get comfortable pretty much right from the moment I find out I am pregnant. I got this pillow when I was about 2 or 3 months pregnant with Lacie and now I am using it for a third pregnancy - so I have definitely gotten my money's worth! This pillow is amazing! It seriously helps with so many of those oh-so-fun pregnancy aches and pains. It also helps relieve my killer heartburn that I have had with all three pregnancies! I love that it has a body pillow on both sides (as opposed to pregnancy pillows that are just one long body pillow). This allows me to toss and turn without having to move the pillow! But fair warning, this takes up my entire side of our King Sized Bed!